So what happens now that the Federal Communications Commission voted to release a net neutrality proposal and seek public comments? Anyone who has an opinion can comment. While the FCC’s proceedings are often heavy with comments from companies and trade groups affected by the proposed action, members of the general public can also comment. In the past month, people have filed more than 21,000 comments on the FCC’s net neutrality proceeding. An easy way to comment is to go to the FCC’s comment page, which a link to the proposal officially titled, “protecting and promoting the open Internet.” Clicking on the proceeding number, 14-28, takes you to a Web form where you can leave a comment. The FCC’s email box for the proceeding is also still working. It’s at openinternet@fcc.gov. The FCC’s phone number is 1-888-225-5322, although the agency in recent days has encouraged people to send comments electronically instead of calling. 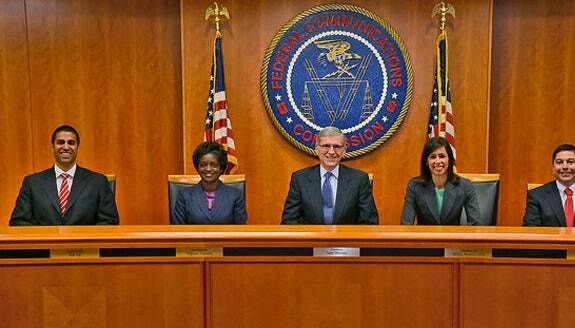 FCC officials have said they hope to have new rules in place by the end of the year. Wheeler said he’s pushing for the process to happen quickly because a U.S. appeals court struck down old net neutrality rules in January. The proposal seeks comment on whether the FCC should ban pay-for-priority business models. During Thursday’s hearing, Wheeler also emphasized that he would consider any broadband provider’s efforts to throttle traffic to customers to be an unreasonable and prohibited practice. It’s “unacceptable” for broadband providers to be gatekeepers of Web content, he added. Wheeler, however, said an agreement earlier this year that gives Netflix faster speeds on Comcast’s network is a peering arrangement not covered by net neutrality rules. The FCC is looking into complaints about peering arrangements, he said, but that issue is separate from net neutrality. Wheeler believes his approach would be the quicker way to restore net neutrality rules, although he also said he’s open to all options. If the commission moved to reclassify broadband, it would likely face a lengthy court fight initiated by broadband providers, and a potential backlash in Congress.